The Fish On My Ear, as well as being stocked in Tome Books on Terminus Road in Eastbourne (tomebooks@yahoo.co.uk) , is now also available from City Books in Hove (23, Western Road, Hove tel 01273 725306, info@city-books.co.uk). Given that the title story is set in Singapore, the book is also being stocked by the prominent Singapore bookstore, Book Actually, No. 9 Yong Siak Street, Tiong Bahru, Singapore 168645 ( t / +65.6222. 9195 www.booksactually.com). 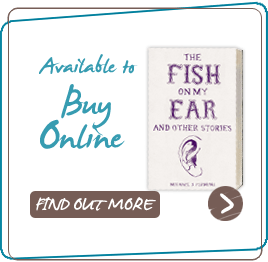 The Fish On My Ear is also available from this michaeljfleming.co.uk website, as well as from Amazon. Watch this space for additional stockists. © 2016 Michael J Fleming. All rights reserved.